What is the Best Way to Melt Peter's Caramel? Glad you asked! There are a few ways to melt Peter’s Caramel for dipping. But our favorite way is in the oven. Place the entire 5 lb. loaf into a french oven or a large stock pot. Once the oven has heated, place the french oven or stock pot loaded with the caramel inside for 60-90 minutes. Check the caramel at 45 minutes, (because some ovens are hotter than others), and then again at 60. When the caramel has completely melted, remove the french oven or the stock pot from the oven. Place the melted caramel in the pot onto the stove top. You can drip right out of the pot! 2. The caramel doesn’t burn. Unless of course you leave it in the oven too long. The stove top method needs constant attention so that the caramel won’t burn. The oven doesn’t. 3. Not as messy! As you all know, caramel is sticky. And sticky means messy. 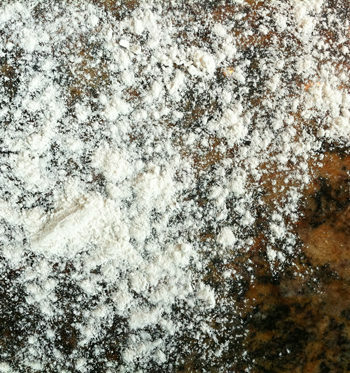 But since you place the entire loaf into a pot and let it melt, the clean up is a lot easier. If you don’t need all of the caramel, pour what is left into an air-tight container. It keeps forever! It’s that simple! Have you ever melted Peter’s Caramel this way? What’s your favorite method? FAQ: Can I Melt Peter’s Caramel in a Crock Pot? A lot of recipes call for the small wrapped caramel squares. When I use peters caramel, do I need to adjust cream/butter measurements? I melt mine in the microwave. I use a plastic bowl add caramel and a little milk. I stir it every 30 seconds after the first minute. Until caramel and milk are combined well and then it drizzles over popcorn or whatever very smoothly. Takes about 2 minutes. 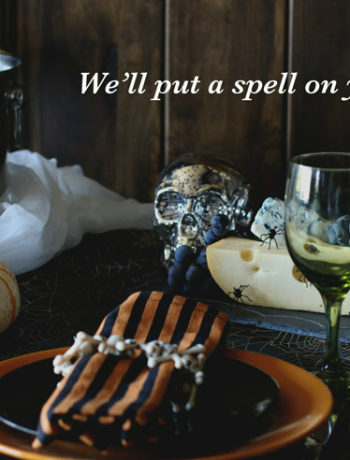 We agree, this is a great way to heat up, thin down and pour over popcorn! We used Peter’s caramel for our turtles last year in place of the Kraft caramel squares. We cut small squares and then melted the squares and the pecans in the oven for between 4-8 minutes. However unlike the kraft caramel the turtles never really set up with Peter’s caramel. Only the tops of the turtles were covered with chocolate and the caramel is exposed on the bottom so it stuck to everything. Can you advise what we should do differently to make the caramel set up and be less sticky? thanks for the message! 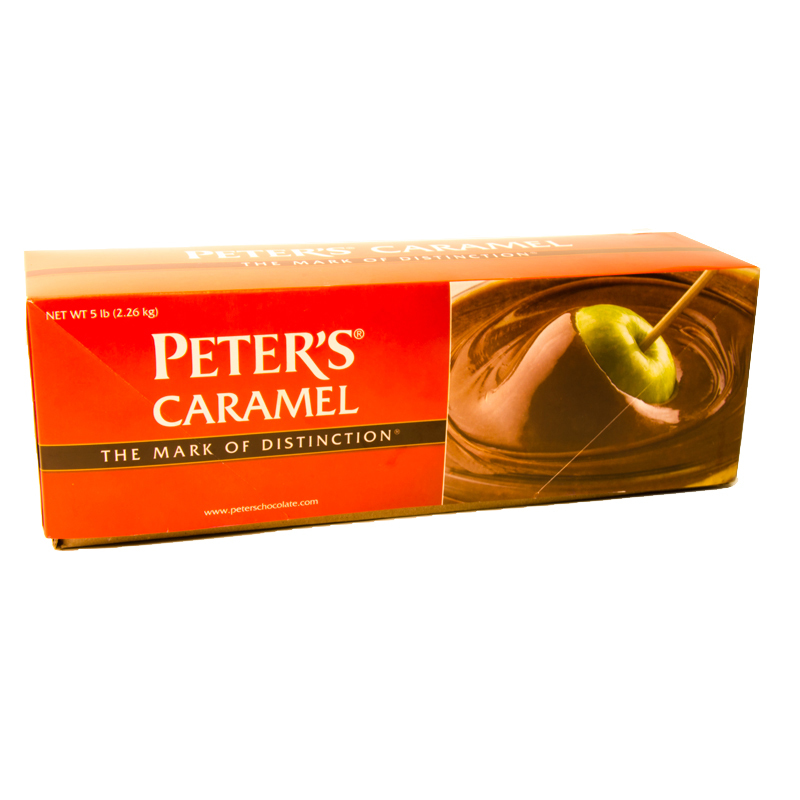 We love that you are trying things out with Peter’s caramel! It sounds like somewhere in the process some moisture was introduced to the caramel. Did they get placed in the fridge or freezer somewhere in the process? We’ve noticed if we left caramel apples in the fridge, anything not coated with chocolate can be a little sticky! No they were not in the refrigerator the caramel was laid out on a table on tin foil. But good to know about the freezer and refrigerator issues with the caramel. I’m doing a chocolate Carmel cake, and wondering if after melting (and slightly cooling) would the Carmel be good as a drizzle or drip down the sides? The caramel would be great to drizzle down the sides. I would suggest adding a little cream to the caramel, a Tbsp per cup of caramel, to make it a little bit runnier to use as a drizzle. Hope that helps.